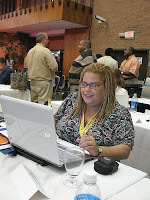 I had a great time at the Blogging While Brown conference in Atlanta last weekend! It was a remarkable opportunity for me to see some great bloggers face-to-face for the first time. A number of the bloggers in attendance (and via Twitter) let me know that they follow the Villager's Black Blog Rankings (BBR)! Therefore, it is with pleasure that I share with you the Aug 2008 rankings with 1,329 blogs being tracked! We have seen over 100% growth in the BBR since the beginning of the calendar year. Pam Spaulding: Pam's House Blend* (Authority: 1,142 / Rank: 2,160) - [Politi cs] I had pleasure of sitting next to Pam during the BWB Conference last month. I marveled at her ability to break down the information from the workshop presenters into posts for her blog ... complete with photos! Her hometown newspaper wrote a detailed article on the growing respect that Pam is getting throughout the blogosphere. Her blog will be a centerpiece of the coverage later this month at the Democratic National Convention. 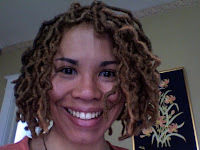 Pam earned her position as the top blogger of African descent in the universe! Ahsmi Rawlins: Nah Right (Authority: 974 / Rank: 2,713) - [Entertainment] This blog moves into the BBR #2 slot for the first time ever. Ashmi (a.k.a., ESKAY) has opera ted his blog since May 2005. He made a brief mention of my blog a few months ago that resulted in my highest daily traffic ever. His blog benefits from his timely posts about all things hip-hop. In fact, many consider ESKAY to be on of the top five writers on hip hop in the world. The Bossip: Bossip.com (Authority: 916 / Rank: 2,866) - [Entertainment] Bossip.com works hard to say on top of new trends. 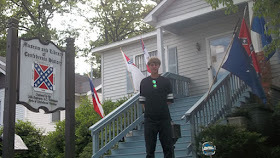 I appreciate the 'link-love' given by The Bossip in support of our efforts here on da Village! Many Black bloggers respect the way in which The Bossip has been able to monetize Bossip.com. Has anyone figured out whether The Bossip is a brother or a sister? Angel Laws: Concrete Loop (Authority: 916 / Rank: 2,999) - [Entertainment] Angel Laws is the young sister who started this blog as a hobby. I still need to go through the blogs on Angel's Dope Sites & Blogs to add the ones that are Black-owned to the Black Blog Rankings. One day we figure that our Electronic Village will be one of her dope blogs! 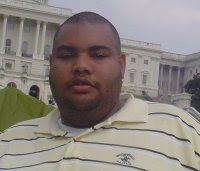 Oliver Willis: Oliver Willis (Authority: 713 / Rank: 4,280) - [Politics] This m ust be one of the best times since Oliver began blogging in April 2005. His beloved Washington Redskins are getting ready for the NFL season and he is one of the few Black bloggers credentialed to cover the DemConvention later this month in Denver. Natasha Eubanks: Young, Black & Fabulous (Authority: 703 / Rank: 4,370) - [Entertainment] Natasha established her blog in late 2005, just a few weeks before starting Loyola University Law School in New Orleans, Louisiana. What originally began as a hobby to fill the void of Black Hollywood coverage in the mainstream media, has now turned into one of the most visited black celebrity gossip sites on the web. TheYBF.com receives anywhere from 80K-130K hits a day and averages 4.5 million page views a month [source]. Methinks that Natasha will break into the BBR Top 5 next month. 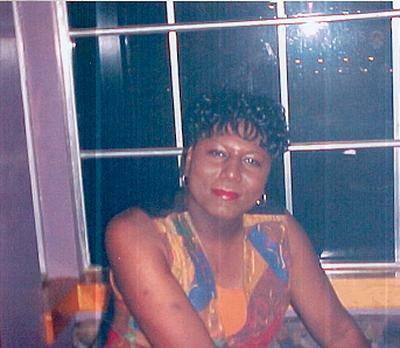 Sandra Rose: Sandra Rose (Authority: 467 / Rank: 7,809) - [Entertainment] I didn't see Sandra Rose when I was in Atlanta last month for the BWB Conference. I'm going back this month for the BDPA Technology Conference ... maybe she'll be in town! I imagine she couldn't come to the BWB Conference because of her ongoing beef with Kanye West. Anyhow, the sister is going strong. She is another blogger that successfully made transition from Blogger-platform to her own domain ... and managed to regain her position in the BBR Top 10. Perhaps this will be the month that Sis. Rose gives the Electronic Village some link-love on her blogroll. Kimberley Kira: The Angry Black Woman (Authority: 454 / Rank: 8,168) - [Soc ial Commentary] Kimberley Kira (a.k.a., Tempest) jumped two spots to BBR #8 this month. I recently learned that Tempest attended the School of Creative and Performing Arts (SCPA) in my current home town of Cincinnati OH. She describes herself as a "bisexual polyamorous pagan gamer geek" ... which might explain the focus that her blog places on sexism and racism. Now that I know about her Cincinnati roots ... I will be more proactive in following her blog over the coming weeks and months. After all, she ain't in the BBR Top Ten for nothin'! Fresh Crunkjuice: Crunk & Disorderly* (Authority: 452 / Rank: 8,834) - [Entertainment] This gossip blog, created in August 2004, is in the middle of a transition to a new domain. The new domain is rising fast on the BBR. I anticipate that his other blog will crack the Top 10 shortly ... it is currently sitting at BBR #27. Baratunde Thurston and Cheryl Contee: Jack and Jill Politics* (Authority: 444 / Rank: 8,385) - [Politics] Baratunde (a.ka. Jack Turner) and Cheryl (a.k.a. 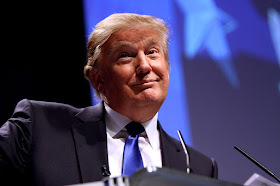 Jill Tubman) are two of the most active bloggers in the political realm. They are both credentialed to be on the floor of the 2008 National Democratic Convention in Denver later this summer. This blog is transitioning to a new domain. The new domain is rising fast on the BBR. I anticipate their other blog will crack the Top 10 shortly ... it is currently sitting at BBR #12. 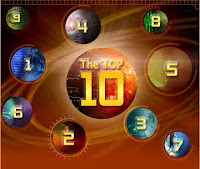 This ranking is open to any blogger of African descen t. You do not have to be a member of The AfroSpear or the Afrosphere Bloggers Association, although we invite all Black bloggers to join either (or both) of those organizations. Those blogs with an asterisk after their name are members of The AfroSpear. 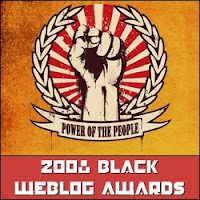 Next month we will highlight those blogs that win 2008 Black Weblog Awards. W e do think that these Black blogs are important spheres of influence. Let them know that you appreciate the work they have put in over the past few months and years to get on this list. My vision is that you will nominate many of the brothers and sisters on this month's BBR for a 2008 Black Weblog Award. Finally, I encourage all bloggers to provide some link-love to this post so that your readers can learn about the Villager's Black Blog Rankings! Next step is yours ... what say u? I nominated a whole bunch of folks today. You know I didn't forget the Villager, right. Danielle - Asante sana! I need to do my nominations as well. Thank you for the reminder! Thanks a lot for these listings, Villager. I needed to update my blogroll and make some new acquaintances, and this list really helped point me in the right direction. I'm curious. My technorati rating is higher than that reflected on the BBR. How can that be addressed by next month? DN Lee - Correction made. Your blog is now BBR #702. Please note that I do this list manually. As such, I'm able to keep track of the BBR Top 200 using some automated tools. The others are done as time permits or as i get reminders such as yours! Anyhow, it is good to see the continued growth of your blog. Keep doin' what you're doin'! I'm happy that TransGriot fulfilled two goals that I'd set for it last month while cracking the BBR Top 100 Blogs. Only thing missing from mine is the notation asterisk that I'm an AfroSpear member as well. Monica - I must admit that I smiled when your blog moved into the BBR Top 100. I need to head over to your blog to see what your new goal will be! Asante sana for the kind words on my blog making it into the Top 25! Thanks villager. I'm working on it. Also, thanks for the alert about the Black Weblog award. I'm really excited to see the Science/Tech category. I'm hoping to make a showing in this category, but I'm sure the tech blogs will give the handful of science blogs a run. I'd be interested in seeing a feature that covers not only top ranked blogs, but up and coming blogs. Or how about clusters of blogs that deal with a similar cluster of themes? Or have i just overlooked those posts? Mark - Your suggestions are excellent. Most things in my blogging world come down to time. I've added your ideas to my growing list of 'things to do'! For what it's worth, the 2008 Black Weblog Awards have a category for "Best New Blog" and "Best Up & Coming Blog" so they must be feeling the same void that you are in that area. Thanks for the mention on your list but my technorati authority is really seven (not three) :-) I've moved up since last month. I refer to it often when I stumble across "10 Best", "50 Most Influential", "Top Bloggers" and other listing like that if they don't include people of color. It's really nice to have one, central place that collects stats about prominent black bloggers. Twanna - You are the one putting in the work. I'm glad to be able to give you and others on the list props for what they do! I look forward to meeting you at some point in the future ... perhaps next year at the BWB conference! I Have A Dream ... 45 Years Later! John McCain is Livin' Large! Cullen Jones: Tiger Woods of the Swimming Pool? Nia Abdallah vs Diana Lopez * Who Won the Fight?